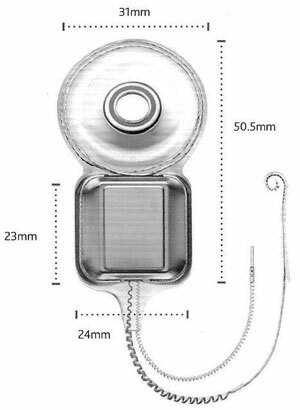 Cochlear Americas' Nucleus Profile CI with a slim modiolar electrode (CI532) is the newest CI design from Cochlear that has been built on 30 years of experience and has been developed in collaboration with CI surgeons. 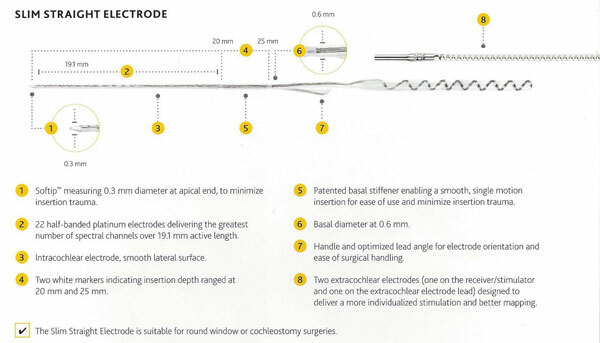 The C1532 is the thinnest perimodiolar electrode platform. 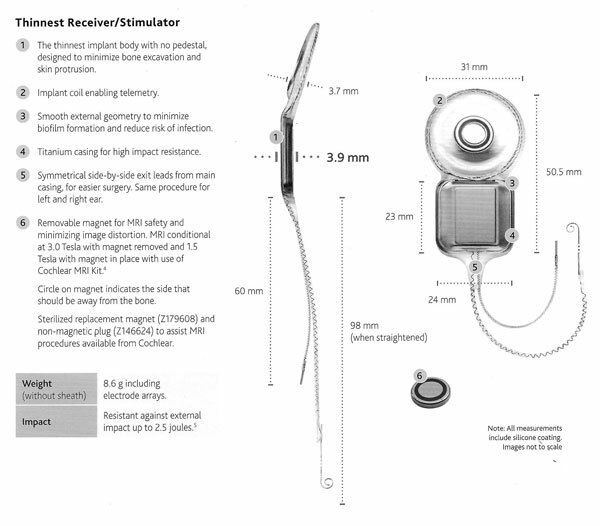 The Nucleus Profile cochlear implant has a thin profile that is useful for cochlear implants for young children. 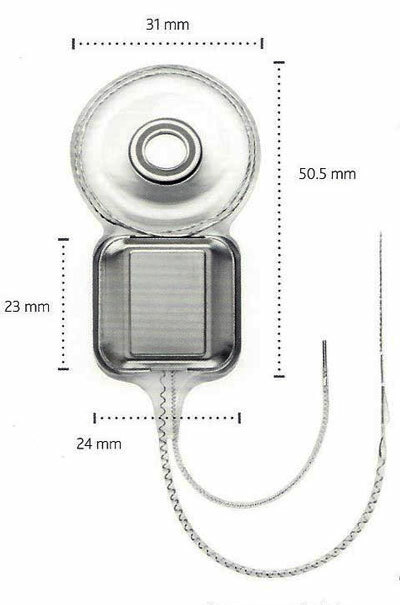 The Nucleus Profile is available with a coiled electrode (Contour Advance CI512) and a Slim Straight electrode CI522 (see below). MRI compatible up to 1.5 Tesla with magnet removal. Two white markers indicating insertion depth ranged at 20 mm and 25 mm. The electric portion stimulates high frequency hearing that is so important for being able hear the ends of words and high frequency sounds like "F", "S", "TH", etc. Nucleus 7 is splash proof. When used with the Aqua+ system, it is waterproof. 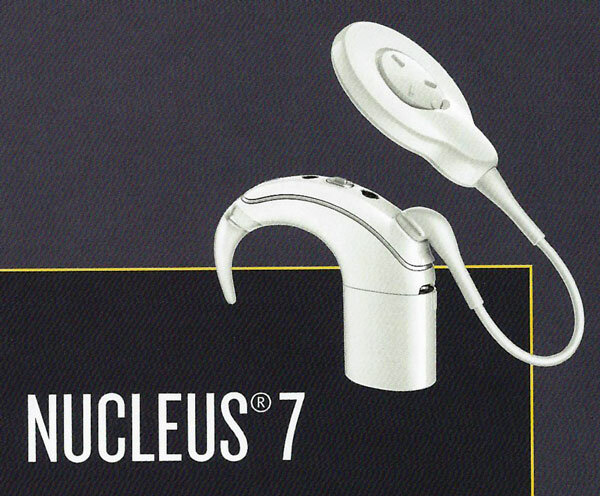 Nucleus 7 with Aqua+ is water resistant to level IP68 on the International Standard IEC60529. Nucleus 7 contains Made for iPhone compatibility and can stream sound directly using true wireless technology. 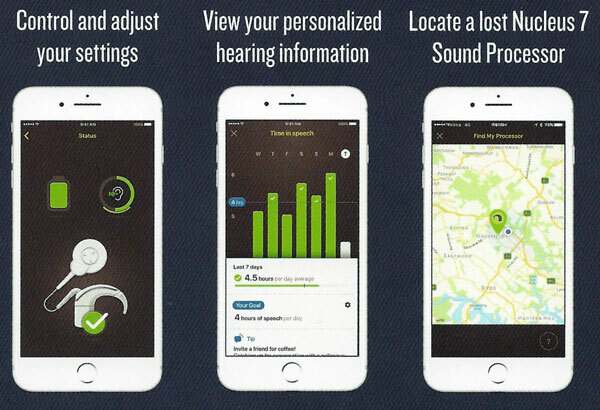 In September 2016, Cochlear announced their first off-the-ear CI sound processor, Kanso. Kanso provides patients with a small, discreet sound processor and eliminates the conventional behind-the-ear style processor. Kanso is compatible with the following Cochlear CI's: CI512, CI522, CI532, CI24(RE)CA, CI422, CI24RE(ST), N24 and Hybrid L24. With the Aqua+, Kanso is water resistant to level IP68 of the International Standard when used with LR44 alkaline or nickel metal hydride disposable batteries. To learn more about Cochlear Americas CI's, visit their website at www.cochlear.com. If you have questions about cochlear implantation at The Ear Center of Greensboro, P.A., please contact our Audiology Department at 336-273-9932 during normal business hours.